Here at Rhino Africa we’ve seen the rise of a new kind of honeymoon…the ‘buddymoon’. Everyone knows that while weddings are wonderful for celebrating with the people that you love all together, it’s not the best way to spend quality time with friends and family. The buddymoon solves this problem by inviting your nearest and dearest to join you on your travels post-wedding. 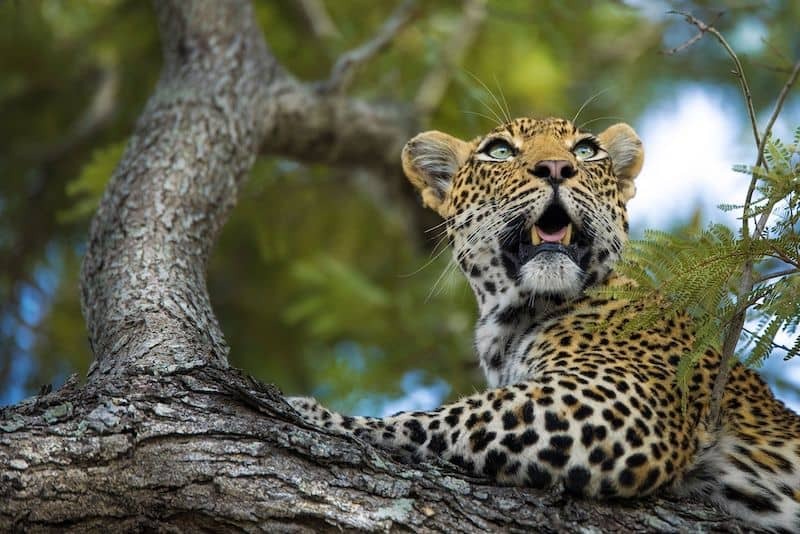 Two of our clients, Laura and Jess, embarked on this new adventure with a safari through the Eastern Cape at Inzolo Exclusive Game Lodge, coming back with a wonderful story to share with us and now you. South African and Northern Irish-born respectively, Jess and Laura made their way back to the Mother City of Cape Town (all the way from Australia) for the wedding of a lifetime. It was a grand affair with over 100 guests travelling in to South Africa from all over the world. 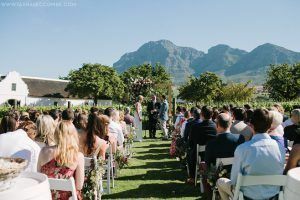 The two said their vows in the heavenly Franschhoek Wine Valley, complete with fynbos floral arrangements and spectacularly sunny weather. The venue, Vrede en Lust, catered to everything including the reception which was only improved by the estate’s award-winning wine. 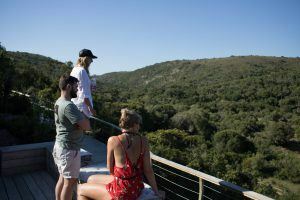 It took a little planning and convincing for others to tag along on their unusual honeymoon plans but having flown all that way, they decided to make the most of their time in Africa and set off to the Garden Route for a whirlwind buddymoon. The Garden Route is a marvellous winding passage through the Eastern Cape that highlights forests, rivers and blue-flag beaches alike. Before a (malaria-free) safari adventure, this is a breathtaking drive from Cape Town where one can stop along the way at many fascinating natural wonders which include whale watching, bungee-jumping and nature walks through the forest. 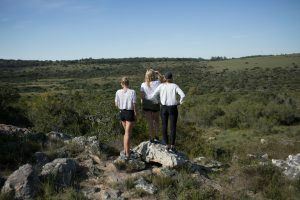 Jess and Laura made sure to take in some scenery before they ventured down to the jewel of the Eastern Cape – its luxury safari lodges. 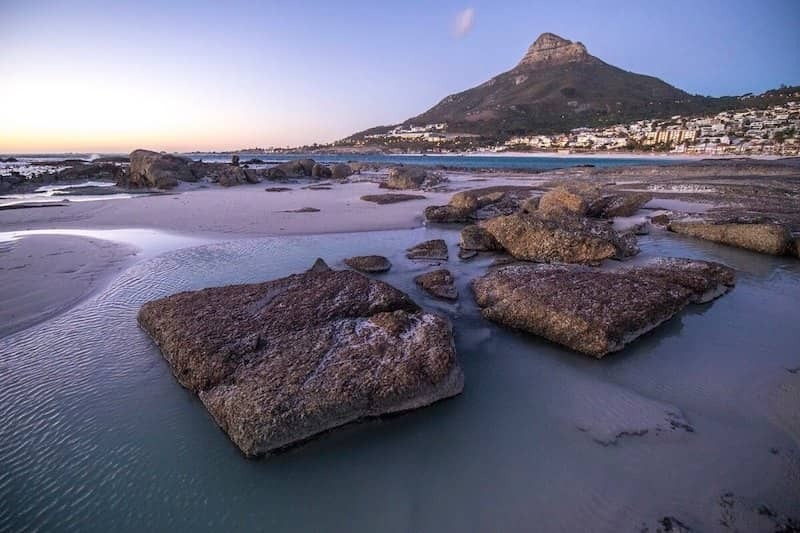 However, it’s possible to skip the Garden Route altogether and take a short flight between Cape Town and Port Elizabeth after which you’ll only need to drive the last hour to reach the lodge. For our groom Jess, the trip really felt like a homecoming; being fully immersed in the abundant African landscapes that he had left behind around 15 years earlier. However, this escape from suburbia brought everyone together in their love of Africa, despite their differing experiences and origins. 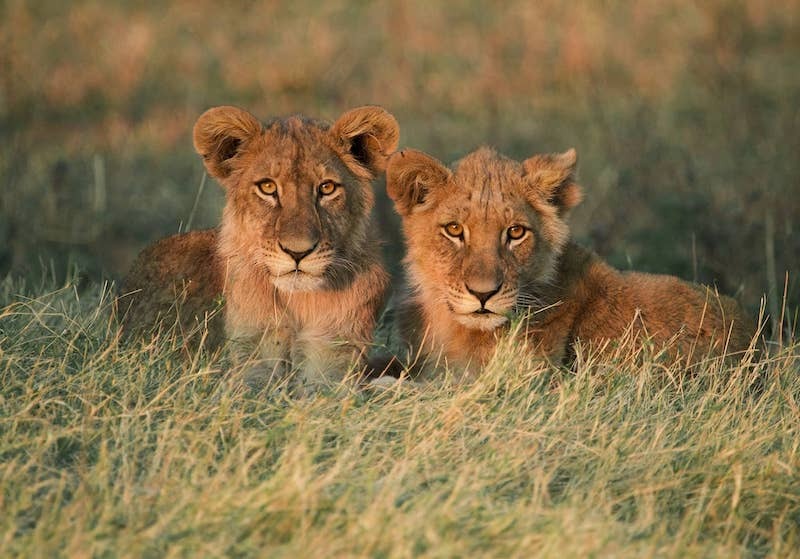 This is the magic that comes with an authentic African safari experience. The lodge only has four private chalets, making Inzolo ideal for honeymoons but this also meant that friends could join the newlyweds on the buddymoon without making the group feel separated. On top of the usual fare, our honeymooners were treated to romantic turn-downs, dinners under the stars and even some champagne surprises. 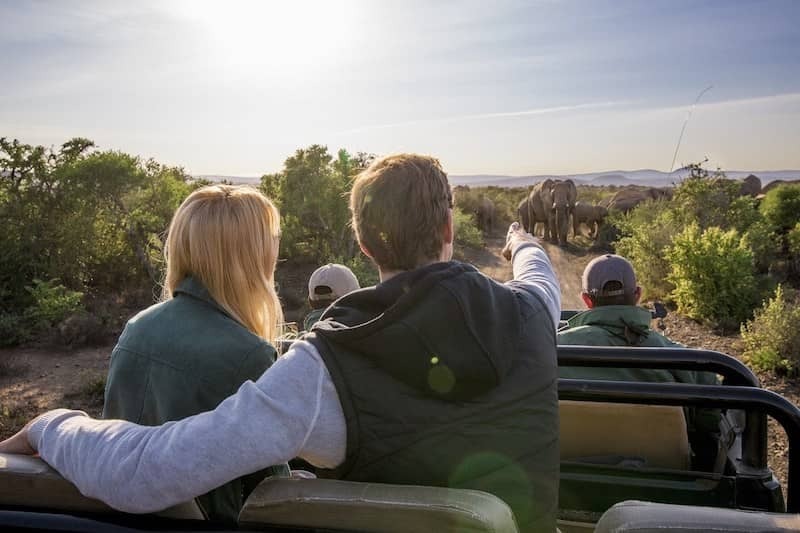 Something special arises when you share a safari experience together that is difficult to encapsulate but for this couple it came down to the fact that Africa is all about connection. 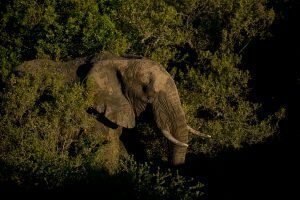 During their first sightings, the group felt a wave of emotion as they glimpsed a herd of elephants making their way to the vehicle. With three to four unplugged hours of quality time together, game drives proved a serene way of catching up with old friends and making future plans! 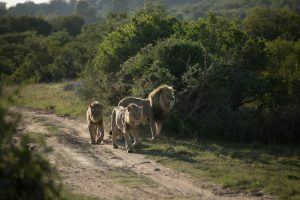 There was also the addition of drink stops along the way, riveting wildlife scenes and delicious meals which were only a few of the things that made this safari such a visceral journey. Plus, the lodge provided breathtaking views over the mountainous valleys, making the journey feel outside of time itself, forever held within the bubble of sanctuary that Inzolo Lodge provided. These are the kinds of experiences that are treasured forever and here at Rhino Africa we love to give our guests memories that last a lifetime. So if you’re looking for an original way to spend your honeymoon, why not go on a buddymoon? There’s no better way to fall in love all over again with your partner than a journey through Africa. Rhino Africa’s tailor-made safaris are an excellent way to get the most out of every experience – with all of those you hold dear. Book with one of our travel experts today and start planning your dream trip.